It’s here folks. It’s finally arrived. I thought this time would never come, but it has. We’ve finally reached that point in time where looking after my tots has become… ‘easier’. I can’t quite believe it – and expect my children to be replaced by pod people over night just to throw a spanner in the works – but it is hands-on-my-heart true. Mr Almost-Two recently had a tummy bug which felt like it went on forever. It was stressful. Multiple changes of clothes each day, and more vomit and poo than I thought was humanly possible. But despite all that, it felt like a dream compared to last year’s ‘winter o’ the plague’ when we were seriously ill for two solid months. This year we have reserves. Teeny-tiny reserves, but reserves nonetheless, which mean D and I are coping better with the slings and arrows of outrageous parenting. Tummy bugs aside, we’re all having more fun. Yes, my tots still have tantrums, just like every other toddler. World War Three erupts if you give them the wrong cup. Or you accidentally put on Fireman Sam instead of Thomas the Tank Engine on the telly. But I can now take both of them out on my own to wide, open spaces without me coming home in a straitjacket. D and I can stroll hand in hand while our kids zoom about on their bikes. To be sure, there are moments of panic when fearless Chip moves a little too close to the road or a tot has a mini meltdown, but mostly the atmosphere is calm and positive (well, as calm as things can be when two toddlers are on the loose). We can play games and both children get it. Last night we had an epic story-telling session where our faithful dragon-chickens took us on their backs to our local beach playground and Princess Aurora’s castle (all our spontaneous story-telling session must be about dragon-chickens, otherwise Miss Three complains loudly. The names of the dragon-chickens are: Rainbow Dash, Betty, Hetty and Dave). Today my tots and I competed to see who could crawl, slither, breakdance or twirl down our hallway the fastest (it’s Chip – he cheats). Activities I steal from Pinterest hold my tot’s attention for longer than five seconds. I’m living the dream, folks. The other night we went out to our local velodrome where our kids went wild on their bikes. At one point, Chip was so excited about being able to go as fast as he wanted, he got off his bike and just ran. It was too cute for words. And photos. No seriously, he was going too fast to get any good photos. We also had a great time at a recent toddler disco. Glow sticks, 90’s pop music, what could be better? Sausage is Miss Independent. “I can do it myself” is her phrase du jour. She wants to dress herself, do our dishes (yes!) and climb along every garden wall she can find. Chip’s speech is coming on really well. He can tell us exactly what he wants now (true fact: it’s milk. Or chocolate). He rides his toy motorbike with such alarming speed and precision – he can back up that thing like a pro – that I feel certain he will follow in his uncle’s footsteps (currently motorcycling around Europe). I recently did a huge cull of our bibs. Our ergo baby carrier is up for sale. I can’t remember the last time we used the stroller. My babies are growing up. Let the good times roll. Family Kid Wrangling Tips and hints Toddler	having more fun with your kidswhen does having kids get easier? This post first appeared on my other blog Giving Up Sugar. However, some of you on your own sugar-free journey may be interested in my next foray into wellness. I was diagnosed with Hashimoto’s disease at the ripe old age of 27. Hashimoto’s is an autoimmune disease and is the most common cause of hypothyroidism (which I have too). I was not at all surprised when I received my diagnosis. Most of the women in my family have hypothyroidism, so I knew what was up when I put on a huge amount of weight in 6 months, felt like a slug all the time, had a puffy face, thinning hair and had freezing cold hands. The hands thing was the final piece in the puzzle for me, as I had previously been one of those ridiculously hardy folks who swan around in summer clothing in the middle of winter. But now people would shake my hand and cry out ‘Flipping heck, have you been dipping your hands in ice water?’ Something was definitely wrong. I had to beg my doctor to run the tests as she didn’t expect someone to have hypothyroidism at 27. But to her credit, she was swayed by my family history and ran the tests (I now realise how fortunate I was that my doctor listened to me. Many people with Hashimoto’s are misdiagnosed as having a mental illness). I’m not kidding when I say it took me 6 more years to fully understand the implications of my condition and to accept the limitations of it. I spent those years ignoring my body, being lackadaisical about taking my medication, pushing myself through the tiredness and brain fog, and generally trying to live as I had before until I gave myself a bad case of burnout. It was the burnout that forced me to pay more attention to my body and my lifestyle. My body was screaming at me to slow down because it could not take it any more. So I slowed down and began to recover. Giving up sugar helped my energy levels to increase, and I was able to reduce my thyroid medication a bit, plus I lost weight. Then eating the Trim Healthy Mama way (which is refined sugar-free) helped me shed two more dress sizes and feel more energetic. But it hasn’t quite been enough. I have always had a tricky case of hypothyroidism. My thyroid levels almost always require tweaking of my medication and I am closely monitored for this. Sometimes I need more thyroxine, sometimes less. Even when my thyroid levels are ‘normal’, I keep having bouts of unexplained tiredness, poor memory, brain fog, irritability and feeling so, so cold. Some of these ‘thyroidy bouts’ as I call them, can last a few weeks or a few months. At the moment I am a bout which has been going on for a couple of months now. Fun times. My thyroidy bouts are not fun, and are very hard on my husband as he has to pick up my slack. I’m a stay-at-home parent to two toddlers, so that’s a lot of crazy slack to be picked up! I’m sick of these bouts affecting me – and my family – despite the fact that my test results are ‘normal’. There has to be more that can be done. Our genes play a part in the development of autoimmune disease, but diet and lifestyle can reduce the effects once that switch is flicked on. I’m pretty active in the Hashimoto’s online community and have seen many reports from fellow sufferers saying they’d seen a huge reduction in their symptoms by following the Autoimmune Protocol. It’s like the Paleo diet, but harsher. The first phase is an elimination diet where you cut out the usual suspects like grains, eggs, soy, dairy and sugar. But the Autoimmune Protocol goes further. Developed by Dr Sarah Ballentyne – an expert on immunity and inflammation – the protocol also cuts out nuts, seeds, alternative sweeteners, nightshades and NSAIDS (ibuprofen etc). The main focus of the protocol is to eliminate foods that contribute to leaky gut and bad gut flora from the diet. You can read more about the science behind the protocol here. People with autoimmune diseases can expect to see significant improvement within a few weeks or months, although some may take longer. I feel confident about doing the first phase because it’s not forever. Once a measurable improvement happens, then a slow reintroduction to other foods can begin. 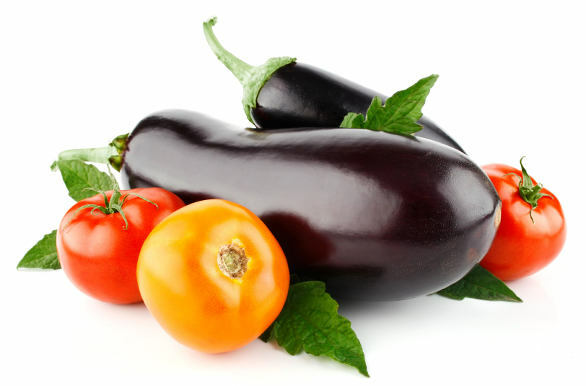 Many people discover they react badly to nightshades (tomatoes/potatoes/eggplant/peppers) and have to avoid them for life, and I suspect this might be the case for me. My father is deathly allergic to raw tomato, and my skin often reacts to nightshades when I prepare them for cooking. Other people can successfully reintroduce eggs, nuts and dairy, so I hope I’m one of those! Food elimination diets are daunting. But if you’ve eaten something all your life, you may be unaware of its impact on your health and well-being. I never truly knew how addicted to sugar I was until I eliminated it and saw improvements in my energy and saiety levels. People who’ve gone AIP report significantly negative reactions to many of the reintroduced foods (like two weeks of feeling yuck), and those reactions are enough to help them avoid that food for life. I’m hopeful that getting to the bottom of any food intolerances will help me kick my thyroidy bouts for good. I wondered what on earth there would be left for me to eat if I attempted AIP. No eggs. My staple breakfast. No dairy. But, but what’s life without cheese? No curries? I think I might cry. Help was at hand thanks to my local library and The Autoimmune Paleo Cookbook, by Mickey Trescott. D and I were so impressed by this book, we immediately bought our own copy. Besides being a beautifully designed and photographed cookbook, what had me going ‘okay, this lady is my new BFF’ was that Mickey acknowledges that sticking to AIP during the elimination phase is HARDER THAN HARD. She acknowledges that having to make every single dish, sauce or dressing from scratch feels like a Herculean task if you work full time, have kids, or are sick. You know, from an autoimmune disease. If that’s you, Mickey’s your gal. She has meal plans and shopping lists to ease into the AIP way. There are also many other great AIP books out there if you look online. I haven’t started AIP yet, but I do have a starting date (28 July). I’m approaching this like I did when I gave up sugar. I’m not quitting until my social calendar is empty. My birthday and a trip away are coming up soon, so I will go AIP after then. I will be turning down dinner invitations and dining out while I’m on the elimination phase because I can’t be bothered with the hassle it would entail. I have a wedding to go to in September and I think I will just tell the beautiful couple not to worry about a meal for me, and take my own food. I want to cause zero hassle on their big day. It will definitely be weird, but when you are on the elimination phase you absolutely cannot cheat. If you have a reaction to something, you probably won’t be able to work out what caused it (Was it the dressing? Were the veges sauted in butter? etc.). So wish me luck. I’ll keep you posted. Have you ever gone AIP? Did it work for you?